Ear protection comes in many different forms, shapes, and sizes, but the main reason why you’d be looking at various options to settle on any type of ear protection is to protect and preserve your hearing. It cannot be emphasized enough that you only have one pair of ears and essentially one sense of hearing of which any inflicted damage to it may be impossible to reverse. 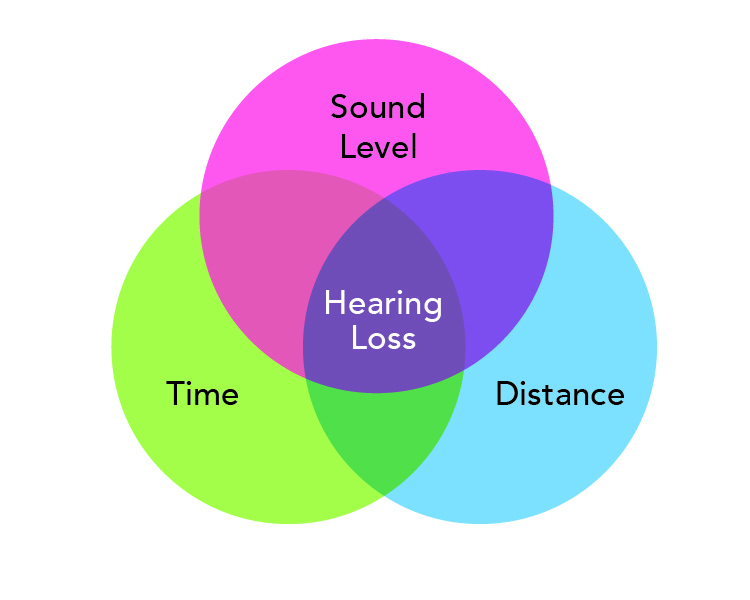 Extra special care needs to be taken of your sense of hearing as there are so many of what are now everyday life scenarios which can cause some irreversible damage to your precious sense of hearing. We will be reviewing different lists of best earplugs on our website. Naturally, though, there are times when you are on the hunt for hearing protection as a matter of convenience, such as earplugs for sleeping to reduce or block out any noise which is preventing you from sleeping. In this case, you’d then naturally be afforded a little bit of leeway in terms of considerations such as the Noise Reduction Rating (NRR). 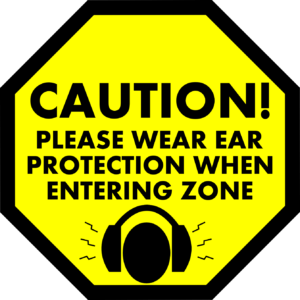 Otherwise, if you’re purely seeking to protect your hearing in situations such as being exposed to gunshots, loud industrial environments, banging concert music or if you’re a motorcyclist, it becomes more than just a matter of convenience. There is less room for experimentation and making use of trial-and-error to find an effective ear protection product. Get it wrong just a couple of times and you can suffer some real long-term to permanent damage which you could have avoided by just being vigilant and taking the necessary steps to protect your hearing. As mentioned, there are many different types of products which were created for the purpose of offering hearing protection, some of which have been designed with additional features to go beyond protecting your ears. The high impulse noise environment typically surrounding any form of shooting is perhaps the most obvious case for the need of ear protection. Whether you’re an avid gun enthusiast who regularly visits an indoor shooting range or indeed if your enthusiasm for shooting sees you enjoying many of your days hunting outdoors, it is important to protect your ears. This is true even if you’re using relatively low-caliber firearms and don’t experience any immediate pain or discomfort in your ears, associated with your shooting practices. Long-term and irreversible damage to one’s sense of hearing can be very sneaky, gradually building up over time. Before you know it, you could be suffering from the effects of permanent hearing damage when it’s too late to take preventative measures. All of that said, if you are indeed taking preventative measures to protect your precious sense of hearing, in the shooting realm of hearing protection, the types of protection offered can be divided into two general groups, namely shooting earmuffs and shooting earplugs. Understandably so, the most widely preferred of these two types of protection for shooting is indeed earmuffs, quite simply because shooting earmuffs generally have the ability to accommodate way more features than their earplug counterparts. Sure, there are basic earmuffs which offer pure protection, like 3M Peltor X-Series Over-the-Head muffs, but a lot of shooting earmuff manufacturers like to take things a step further and integrate electronics. There’s also generally a trade-off between a high Noise Reduction Rating and the integration of extras such as electronics, as can be seen in a comparison between ClearArmor 141001 Safety Ear Muffs and perhaps something like a pair of MSA Sordin Digital Supreme Pro X Headband Leather muffs. The ClearArmors have no electronics, but go as high as 34 dB with their NRR rating (the highest so far), while the MSA Sordin Digitals go as low as 18 dB in their Noise Reduction Rating, but offer just about everything that comes with integrated electronics. If you want to take your shooting outdoors, however, maintaining the practicality element in addition to features such as directional sound attenuation and good sound amplification, earmuffs such as Honeywell’s R-01530 Howard Leights do the trick. They sport a very handy camouflage design. Otherwise, you could look at a pair of 3M Peltor TEP-100 Tacticals if you insist on using digital earplugs instead of big and bulky earmuffs outdoors. If you’re battling to sleep and are seeking some refuge in protective earplugs, you have a little bit more leeway to experiment quite safely. Usually, with sleeping earplugs, it’s not explicitly about getting the highest Noise Reduction rating, although since sleeping earplugs are mainly just made out of foam or similar material, their Noise Reduction Ratings can get really high. Noise Reduction Ratings below the 29-33dB range are usually considered to fall outside of the normal NRR for this type of ear protection, but if sleeping earplugs have an NRR that goes right down to between 18 and 22dB, it’s intentional to accommodate those users who just need to filter down or block out a little bit of noise. So if for instance, you go with 22dB-rated Macks Pillow Soft Silicone Earplugs, it would be with the view of maybe blocking out some irritating snoring that isn’t too loud, while you still want to hear your partner speaking to you or indeed your alarm clock go off in the morning. It’s otherwise really just a matter of comparing features such as the length, diameter, and materials used in order to find the perfect fit for you because it is ultimately all about the fit if sleeping earplugs are to be effective. Sleep Pretty in Pink Women’s Earplugs for instance are made for the smaller ear canals women generally have, but they have a high Noise Reduction Rating, while the likes of Mack’s Ear Care Ultra Soft Foam Earplugs offer good value for money, since you get more in a pack that’s similarly priced to competitors’ earplugs. To re-emphasize; with sleeping earplugs, their effectiveness is directly proportionate to their fit. The better they fit, the better they perform. You also have to know exactly how to use them too, like some of which need to be rolled in your hands so that they are elongated and can then fit into your ear canal comfortably. Sleeping earplugs are generally extensible in their use and can be used to quieten noise such as a television played loudly, noise from neighbors in an attached building apartment, etc. You may also consider sleeping earplugs like Flents Soft Comfort Contours, which are so soft that they allow you to sleep with them on your side and don’t cause discomfort or risk of entering too deep into your ear canal. Taking into account the perceptions surrounding the use of earplugs for concerts, this is perhaps where sensibility comes into question because a lot of concert-goers seem to be okay with sacrificing their hearing to look “cool.” The need to protect one’s hearing, no matter what the setting, may seem obvious to you and me, but there are indeed some people who’d risk their hearing just so they don’t appear to come across as being “too old” and sensitive to be attending concerts where the music is belting out of huge speakers at levels which can in fact damage even the youngest of ears. Fortunately, for these types of people (who still need to get their priorities sorted), there are some very stylish and inconspicuous earplugs for concerts and musicians, such s V-MODA Faders, Ear Defense High Fidelity Earplugs, and Eargasm High elity’s too. Fidelity’s too. 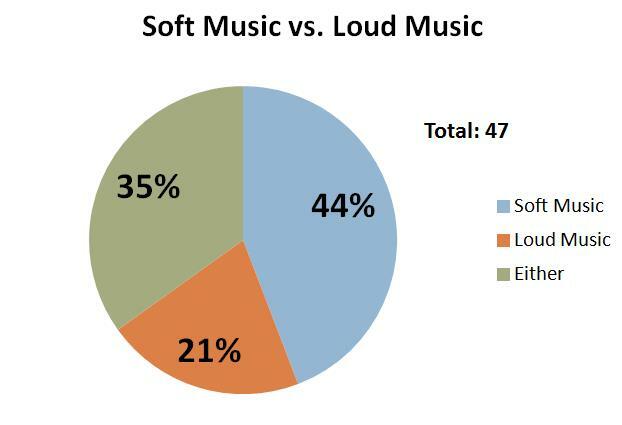 That said, though, when it’s all about the protection and all you want is to preserve your hearing while still enjoying the concert, you can take your pick from the likes of LiveMus!c HearSafe Ear Plugs, which have one of the highest NR Ratings in musician’s earplugs, coming in at 29 dB. What’s great about these types of earplugs and indeed many other brands of musician’s earplugs is that one set of earplugs usually gives you many different options in detachable filters with different Noise Reduction Ratings. So you only have to carry one tiny package (which can often fit in your pocket or attach to a key-ring) and still enjoy plenty of options in terms of Noise Reduction Ratings. As is most certainly the case with ear protection for the industrial workplace environment, it gets a little bit tricky with the selection of the perfect earplugs for use with motorcycles. Earplugs aren’t usually marketed and sold exclusively as made for use with motorcycles, so it becomes a matter of just seeking out earplugs which prove to be effective when used by bikers. You’ll need to keep out what can be very loud engine noises for quite a prolonged period of time, so earplugs such as Howard Leight Max-1 Uncorded foams offer a good Noise Reduction Rating of 33dB. They’re made of polyurethane foam, so are effective for once-off use and should then be disposed of. Similarly, you can get yourself a pack of Moldex Premiums, which also offer a very high Noise Reduction Rating of 33 dB, but neither of these would be pointed to if you asked anyone about motorcycle earplugs which were manufactured for the sole purpose of using with motorcycles. As tricky as it may be to pick out the right earplugs for motorcycles, go with a high noise reduction rating, but be sure you can hear sounds which you need to hear, like shooters and police sirens. Follow the links below to find the best earplugs that you can buy in the market. There is a definite need to use earplugs while one is swimming in the pool so that the water does not reach the ear canal. You can visit our page that includes detailed reviews and a guide of how to choose the best earplugs for swimming. 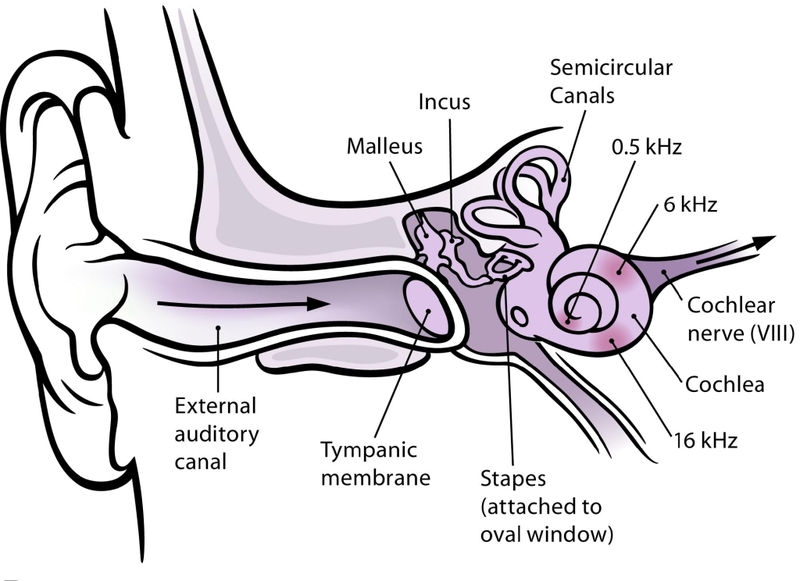 It is necessary to follow some precautions in order to avoid water traveling inside your ears so, read it carefully as it will help you save your precious sense organ from damage as well as infection by using the earplugs. It is observed that the number of travelers has increased dramatically in the recent decades and many of them face the problem of air pressure while flying. From children to adults, everyone comes across the same problems. During take-offs and landing, there is a pressure difference in the air that leads to pains and irritation due to loud noises. For regular fliers, it is mandatory to know that the best earplugs for flying are essential to be added to the collection of accessories while traveling by air. This single article will reveal some of the interesting facts as well as the benefits of wearing earplugs that one should know. The best baby ear protection will not only ease your worry about your child’s ear safety but the health benefits of regularly using earplugs are really immense, which your child may realize when they reach their forties or maybe later. They would simply throw away the artificial aids and live a healthier life for sure!